Mark your calendars for the 44th Annual California International Antiquarian Book Fair, February 11-13 at the Concourse Exhibition Center, San Francisco. I've attended a few times when business travel coincided with this annual event. My memory suggests that the fair is a bit smaller and more intimate than the November Boston fair but the browsing and discovery of new books to covet just as fabulous. 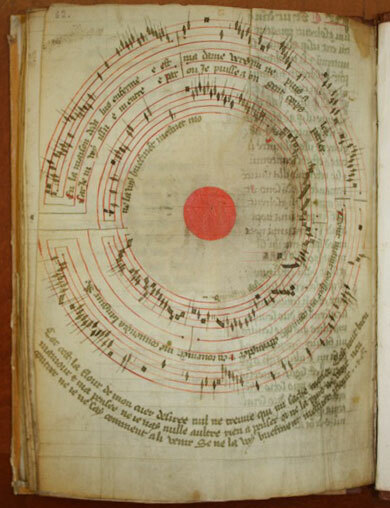 "The Fair will have a special focus on music this year, including a stunning exhibit of rare musical books and manuscripts, dating back as far as the 1300’s, from the Jean Gray Hargrove Music Library of the University of California at Berkeley." The site has a very interesting slide show of rare musical manuscripts that will be on display.